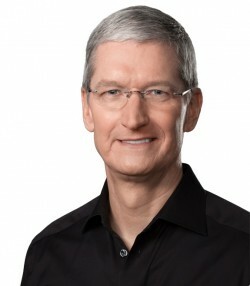 A new report out of Israel-based business newspaper Calcalist [Google Translate] claims Apple CEO Tim Cook is planning to make a trip to Israel next week to coincide with the grand opening of the company's newest office space in the country. The plans are, however, yet to be finalized. The project, housed in the beachfront district of Herzliya Pituach, has been ongoing since the middle of 2013, when Apple signed a contract to lease 12,500 square meters of office space in the district. With the project now completed, Apple is set to house 800 employees in an expanded footprint of 17,000 square meters (183,000 square feet). According to Haaretz, the company's R&D centers in Israel are focused on "storage space, processors and communications chips," so the new Herzliya offices are likely to be tied into those areas. Apple has two other office spaces in Israel: one much farther out from Herzliya in Haifa and another within walking distance of the new building in nearby Ra'anana. For that reason, Apple is expected to consolidate the Ra'anana offices into the new building once it's up and running. As Haaretz noted back in 2013, many believe Apple's continued expansion overseas highlights the company's deep appreciation of foreign markets and its desire to keep the manufacturing of Apple products under as much of its own control as possible. “Apple is preparing to drop external suppliers and to control its entire production process,” [Explace chairman Shlomo] Gradman said. “This is a company that maintains its secrecy and they’re currently exposed to information going every which way. So it’s buying companies and improving its abilities in the field of microelectronics so that it can control the production process from beginning to end." “Even though Apple has been active in Israel for only a short time, the company has been impressed by the abilities here." Apple first began making headway into Israel after purchasing flash memory firm Anobit to gather a few key components of the manufacturing of the iPhone and iPad - namely flash memory performance and reliability - under its own roof. A meeting last year between Cook and Israeli Prime Minister Benjamin Netanyahu pointed towards the company's continued interest in Israel's market, despite the specifics of the conversation being kept private. Apple supporting apartheid Israel. Sad day. I feel like with everything they do for workers in China, the environment, and "standing at the corner of technology and the humanities", they should boycott Israel and not visit there. can't have a post about Israel without the high school geopolitics amateurs coming out of the woodwork to demonstrate how little they know about the topic. Legitimate question: Has Apple been taken over by Zionist interests? No, I'm not anti-semitic - in fact, I'm Jewish and pro-Zionist. But ever since Netanyahu burst into Apple with his entourage I've been wondering if Apple has been taken over. Or perhaps Apple recognizes that Israel has very talented, educated, and bright high-tech workers and wants to take advantage of that to build better products? This should immediately warrant a lifetime Mac Rumors ban. Why because it speaks ill speculation/truths about Israel? That's pathetic calling for people to be banned. What about free speech? Does free speech only go one way -- from you to us but not the other way around? Your communist experiment is failing. The Committee on the Rights of Children, a body of independent legal experts charged by the UN with the task of monitoring the protection of children’s rights in signatory states, has urged Israel to honour its responsibility to prevent the torture and ill-treatment of children. [The report says:] "[Palestinian children are] systematically subject to physical and verbal violence, humiliation, painful restraints, hooding of the head and face in a sack, threatened with death, physical violence, and sexual assault against themselves or members of their family, restricted access to toilet, food and water." EDIT: The reason I say this has to do with "data-mining" is because they coax fake confessions out of the kids. There are 3 kids facing (not yet convicted, but that's the charge) consecutive life sentences right now because of this practice. If they get a report of stone-throwing Israeli forces will invade several homes at random, blind-fold 10 or 20 young boys, and take them to be tortured for days until some of them give unreliable confessions, but Israeli considers them reliable and they get charged. I think their interests remain in making good products. They also bought PrimeSense a while ago, which was an Israeli company. Hard to avoid buying up a piece of unique tech like that, but certainly they can pass up visits like this and other gestures or investments that support the apartheid. That would require them to have a lot of iPhones. I've read 3G service isn't great in Palestine. Israeli "data-mining" seems to be coming from torturing and sexually abusing children. This isn't the place to be arguing over politics. Especially when you are terribly misinformed. You can find an "on the ground" investigation here, from Defence for Children International, which has consultative status with the UN: http://www.dci-palestine.org/sites/default/files/report_0.pdf (PDF). Legitimate question: Has Apple been taken over by Zionist interests? No, I'm not anti-semitic - in fact, I'm Jewish and pro-Zionist. But ever since Netanyahu burst into Apple with his entourage I've been wondering if Apple is being used as a colossal cash cow and data mine. You have to admit, the timing of this trip, along with the elections for PM and the government of Israel coming up around the same period of time, does welcome cause for speculation. There is no denying that. Only time will tell what happens while Cook is there, but the cause for speculation definitely is there. "That would require them to have a lot of iPhones. I've read 3G service isn't great in Palestine. Israeli "data-mining" seems to be coming from torturing and sexually abusing children." Re: Palestine does not have 3G at all because Israel won't grant them the required frequencies to operate and they won't allow the equipment in.